Designed by Apple's Marc Newson, the Montblanc M is a sleek writing instrument with a magnetic cap that ensures it aligns perfectly on the barrel. 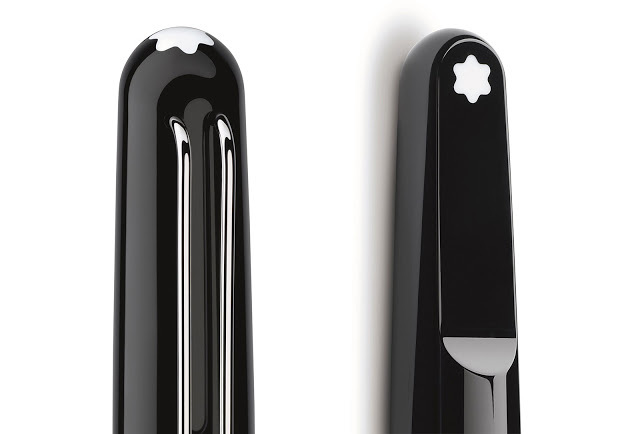 Industrial designer Marc Newson has applied his talent to many objects, and not for the first time to a fountain pen. 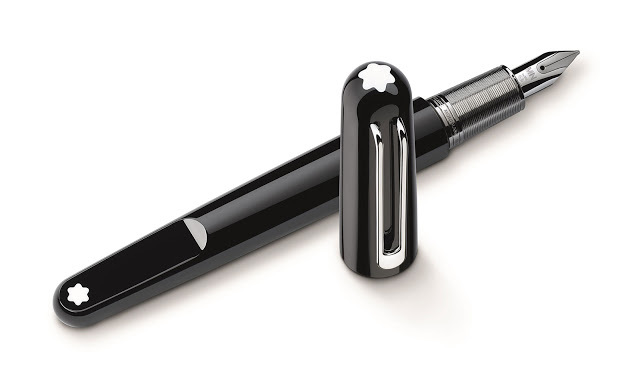 The Montblanc M is sleek, smooth and rounded, but with enough detail to make it interesting. Now a designer at Apple, Newson’s relationship with Montblanc originates with his collaboration with Jaeger-LeCoultre that resulted in the striking Newson Atmos clocks. The current chief executive Montblanc, Jerome Lambert, used to hold the same position at Jaeger-LeCoultre. Characterised by smooth lines, rounded edges and geometric shapes (think of the Apple Watch and Ikepod), Newson’s signature aesthetic is evident in the Montblanc M, which is reminiscent of fellow German pen maker Lamy’s products. 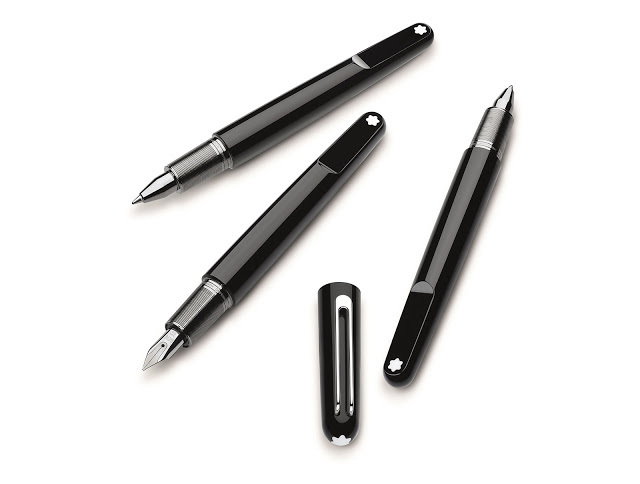 Like the typical Montblanc pen the M is made from glossy black resin. A magnetic closure keeps the cap aligned with the logo on the barrel, which has a flat end milled out inlaid with the Montblanc logo. The cap does not post, meaning it cannot be mounted on the end of the barre while writing. The attachment for the platinum-plated, wire clip is hidden in the cap to keep its lines clean. And the section is ruthenium plated, giving it a dark grey colour. The nib is 14k gold, with “MN” engraved on it only for the first year of production. 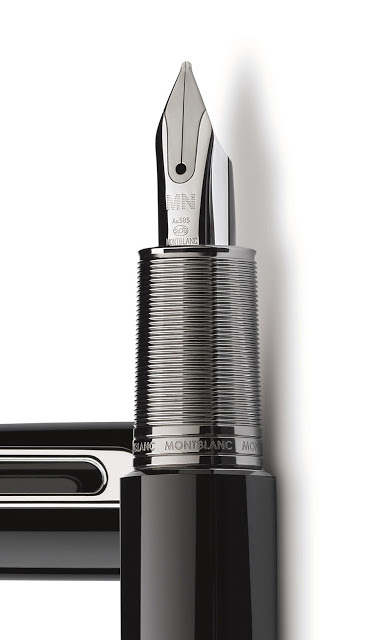 The Montblanc M is available as a fountain pen for US$565, or as a rollerball or ballpoint for US$400. The fountain pen is a cartridge or converter filler. It’s also available as a touchscreen stylus or technical pen. Jaeger-LeCoultre has created two unique timepieces, a Newson Atmos clock and a Memovox wristwatch, which will join more than 40 other unique objects to be auctioned for the (RED) charity in November.